14-Day Training Tours of Israel, Petra Included! Many believers in Jesus have dreamed of taking a trip to Israel, the land of the Bible. Most people decide on what tour to take based it’s vacation benefits and cost. 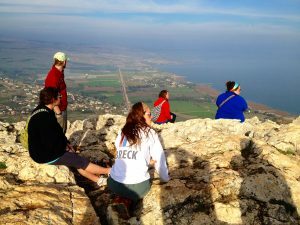 Disciple Daily’s Israel tours are much more than a vacation. They are an investment that will pay eternal dividends in your life and in the lives of those God places around you. Our Israel tours equip Jesus followers to live the life they were created to live. If you are looking for a vacation in Israel, there are lots of great options available. If your objective is to one day hear “Well done, good and faithful servant. Enter into the joy of your Master.”, then go to Israel with us. Nobody conducts Israel tours like Disciple Daily! While in Israel with Disciple Daily, we will show you how your personal story connects with the people, places, and events you have read about in the Bible. You will return home as a virtual tour guide of the Bible, prepared to take everyone interested on the most important journey of their lives. You will know how to win people to faith, disciple them to maturity, and help them do the same with others. 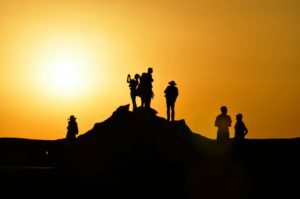 What’s So Different About Our Israel Tours? Two Full Weeks – Standard “tour-in-a-box” vacations last about ten days, including travel days. The itineraries offered are almost identical. By the time you get over jet-lag, it is time to go home. Because our Israel tours are longer, participants gain exposure to parts of the Promised Land vacationers never see. They get introduced to people others never meet. For about the same cost as a 10-day vacation tour, Disciple Daily’s Israel tours last a full 14 days in country. Conducted Chronologically – Every story has a beginning and an end. The Bible is no different. Vacation tours begin with the life of Jesus, two-thirds of the way into God’s grand story. Our tours start at the beginning, in Genesis. On your first morning in The Land you will wake up near Beersheva in the Negev. This is where God ratified His unconditional covenant (Land, Nation, Blessing) with Abraham and His physical descendants. 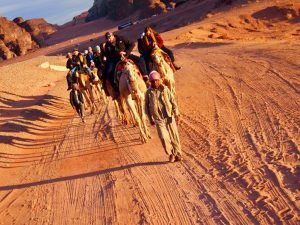 Organized to introduce you to the unfolding grandeur of the Bible, our tours also include a two-night excursion into Jordan to visit Wadi Rum, Petra, and Mount Nebo. This feature is an add-on to vacation tours adding $1,500 to the cost. It is a regular feature of our program. Living Stones – God is doing a new work in Israel. 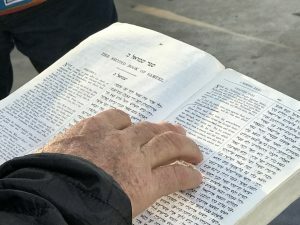 For the first time in almost 2,000 years, Jewish people are once again coming to faith in Yeshua, their Jewish Messiah. Arab are also recognizing Jesus as Savior and Lord of their lives. Some are training together at One For Israel for ministry in Jerusalem, Judea & Samaria, and around the world. What is happening among Jewish and Arab believers in Jesus is the best news you won’t hear or see anyplace else. You will meet some of these incredible Jesus followers on our Israel tours. Equipping For Ministry – Disciple Daily’s Israel tours are limited to no more than 16 people. We operate collaborative training tours. That means there is lots of discussion among the participants. We learn from each other. Large groups cannot accomplish this objective. Everyone who travels with us returns home with new disciple-making tools to train others back home to teach the storyline of the Bible, from beginning to end. These tools are fun, practical, and useful for believers of all ages. That is what discipleship is all about. We do not conduct mass-market Israel tours. We intentionally operate on a much smaller scale. In spite of the size of our groups, you will find our price is often less than the cost of larger tours. This is true in-spite of the fact that our tours are longer and offer more sites. Our group size is 12-16 people. A family or a small group could easily assemble a totally self-contained group of their own. We always have a few people who want to join another group assembled by someone else. For those in this category we keep a waiting list and alert them when another group is looking to fill a few spots to round out their party. Arlie is supported by outstanding Israeli and Jordanian guides who work with him regularly. All land arrangements are made through SarEl Tours, owned and operated by Samuel Smadja, a Jewish believer in Jesus. 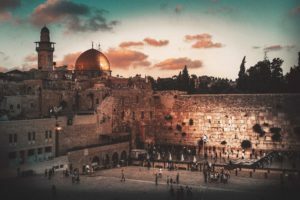 For a little taste of what exploring Israel with Disciple Daily is like, take a look at some of our daily site reports from one of our recent tours. For more information about organizing a group of your own or putting your name on the waiting list, please complete the form below. Unless we are doing a training somewhere, we generally respond to inquiries within a day or two.